We were saddened to hear that Geoffrey Kingscott has died of cancer. Geoffrey was the former UKIP General Secretary. 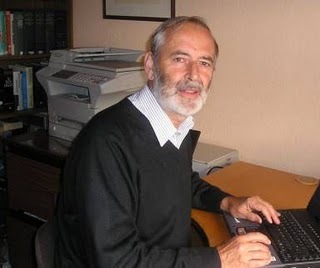 Geoffrey will be remembered as the man who stepped in as Party Returning Officer during the internal leadership election for Roger Knapman, the leader at the time. 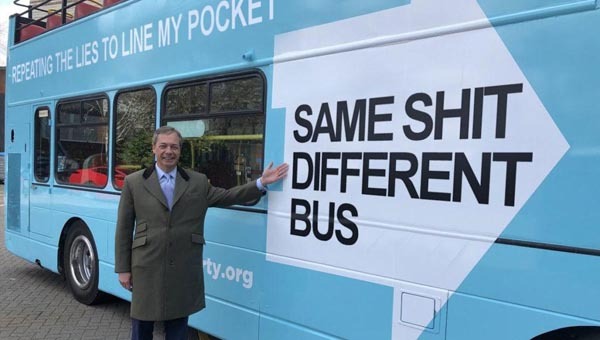 He replaced the odious Douglas 'Himmler' Denny who had held the office but was fired by a majority vote of his colleagues on The NEC for having attempted to rig the vote so that Farage would be elected. Geoffrey was heavily involved in attempts to reform UKIP and bring those accused of corruption to task. He wanted a party that listened to the members, a party where the leader was not a dictator but an honest man. He wanted a leader of integrity who would not use the party as a vehicle for his own ego and greed. Geoffrey was a prime mover in The Phoenix Movement, Lechlade and The Grass Roots Movement. That he ultimately failed should not be held against him. The corrupt – Farage, Croucher, Fuller, Denny, etc – had the backing of a bent and sycophantic NEC. Geoffrey was the author of several books on steam trains. He leaves a wife, three children and five grandchildren. His funeral is to be held this Thursday at Swanwick Junction Chapel at 11pm. Our thoughts are with his family at this sad time.